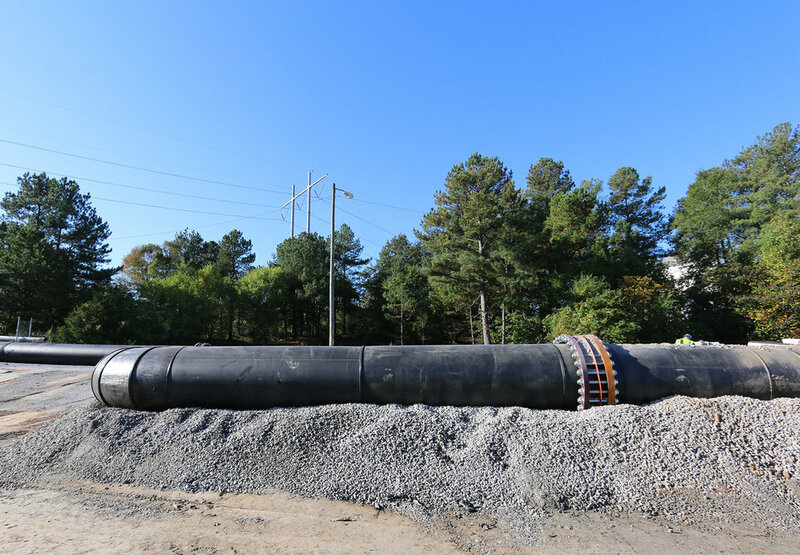 PHOTOS Plant Vogtle Units 3 & 4 — Morgan Corp. This was a total site preparation package for construction of two new AP1000 Model, 1100Mw Nuclear Power Generating Units, covering over 1,000 acres of land disturbance. It included laydown areas, craft and management parking areas, access roads, cooling towers, on-site batch plant area, and future switchyard. 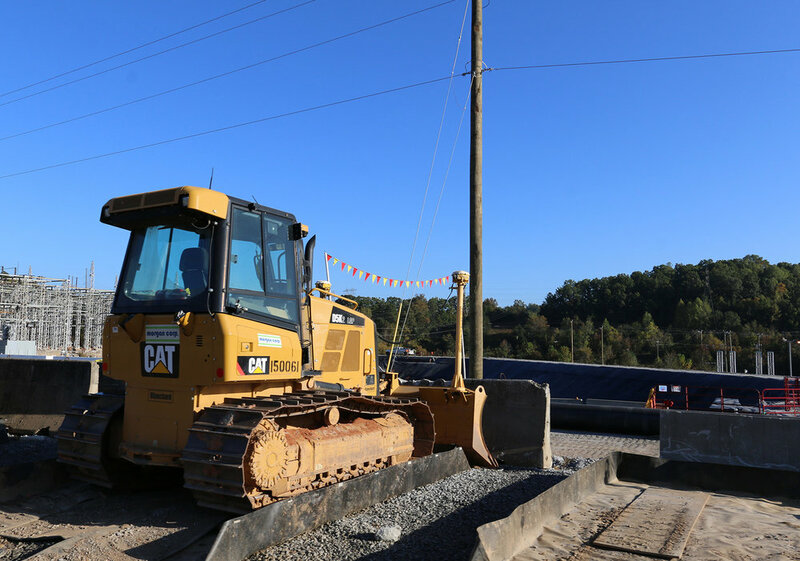 The project entailed the clearing, grubbing, and grinding of 670 acres, as well as miscellaneous concrete and RR demolition. 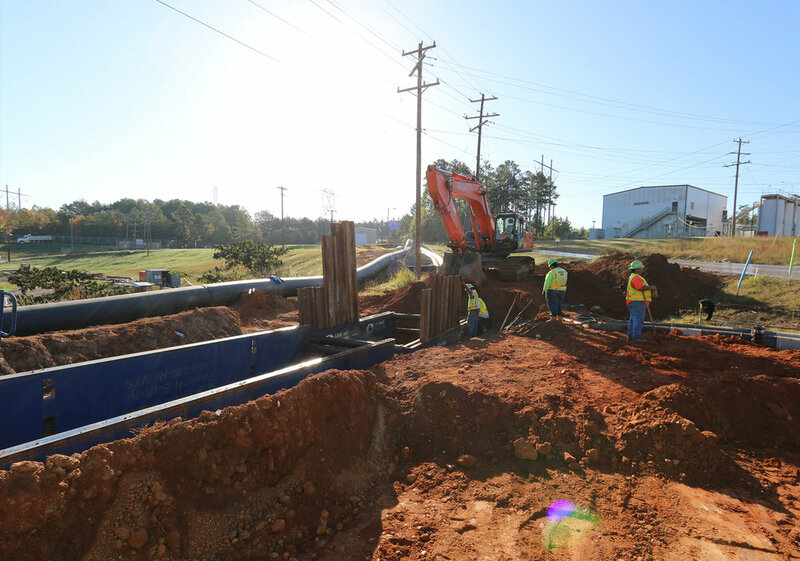 It involved the design, construction, and maintenance of a 50-acre multi-staged surface and subsurface dewatering system. This system was necessary for the 90-foot-deep Nuclear Island excavations to the geologically-stable layer of Blue Bluff Marl. Over 20 million cubic yards were excavated for this project. Morgan Corp. installed 4 million cubic yards of safety-related backfill for the nuclear reactors, over 400,000 cubic yards of select material screening, 40 miles of silt fencing, 24,000 linear feet of storm drain piping and associated structures, and over 60 acres of cement-treated soils and RCC paving. 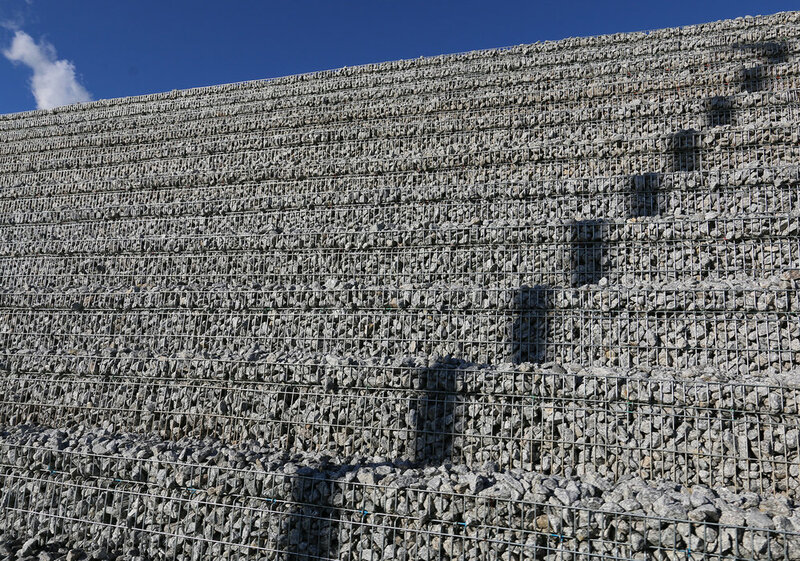 110,000 tons of stone base placement was installed, as well as 500 acres of grassing, over 1 million square yards of erosion-control matting, and 50,000 square feet of MSE wall panels up to 40 feet in height. The nature of this job necessitated that Morgan Corp. adhere to numerous regulations and procedures in order to perform the work. All work completed within the footprint of the Unit 3 and 4 Nuclear Islands was performed to meet all NRC Nuclear Safety Related quality assurance standards per Nuclear Quality Assurance Level 1 (NQA1) guidelines. This project was unique due to its size and scope. At its peak, there were 550 Morgan Corp. employees at the site. Our dedicated employees worked around the clock Monday through Thursday, as well as 13-hour shifts Friday through Sunday to complete this job.